[Updated Monday, April 15, 2019] With the new release of Battlefield V’s Battle Royale game (Firestorm), there’s a lot of exploring to do. With one of the biggest maps in battle royale history, players need to know where are the best loot spots in Firestorm to have a fighting chance in the game mode. The map in Firestorm is called Halvoy. It’s the biggest map that has been in any Battlefield game. It can be intimidating to explore this gigantic map as there’s a lot of ground to cover and take note of. Luckily for players, EA Dice has name certain areas on the map that players can refer to when describing a location. 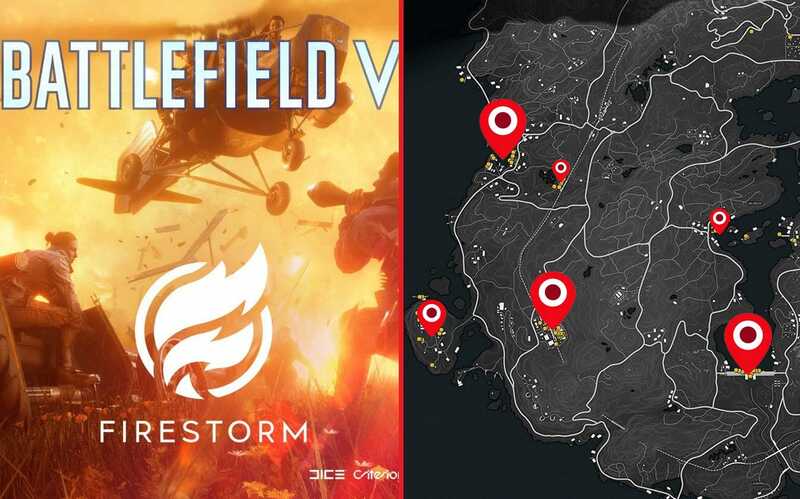 Here’s the Firestorm map with location names. There are other locations on the map that have buildings and vehicles, but they are more towards the outskirts of the map and are not given names. Despite other locations not having any names, if high tier loot is located there it will be marked on the Firestorm best loot spots map below. Part of knowing where the best loot spots in Firestorm is to know how to properly play the game, which goes hand at hand. 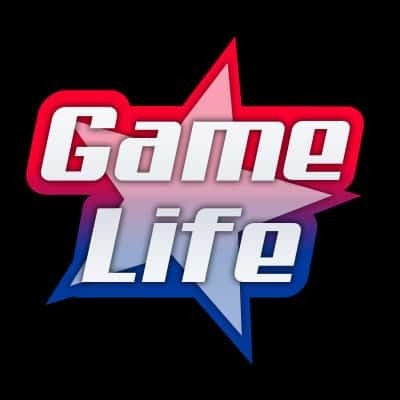 If you’ve never played Battlefield V Firestorm, you may want to read Game Life’s “How to Play Firestorm Battle Royale Quick Tutorial“, which will help you get on your feet immediately. Where are the Best Loot Spots in Firestorm? Given the fact that Firestorm is the biggest map in Battlefield, it’s not 100% accessible in game. Every new match a player starts will be limited to a certain part of Helvoy. If the entire map was accessible, matches would take close to an hour o finish with just 64 players on hand. Moreover, the developers arranged it so that every new game you play in Firestorm will take place in a certain part of the map. For example, one match might have the Firestorm circle on the bottom left side of the map where all 64 players will battle it out. And in another match, the Firestorm circle might move over to the top right of Halvoy. It’s the first time a battle royale game has incorporated this in play. Below are the best loot spots in Firestorm. 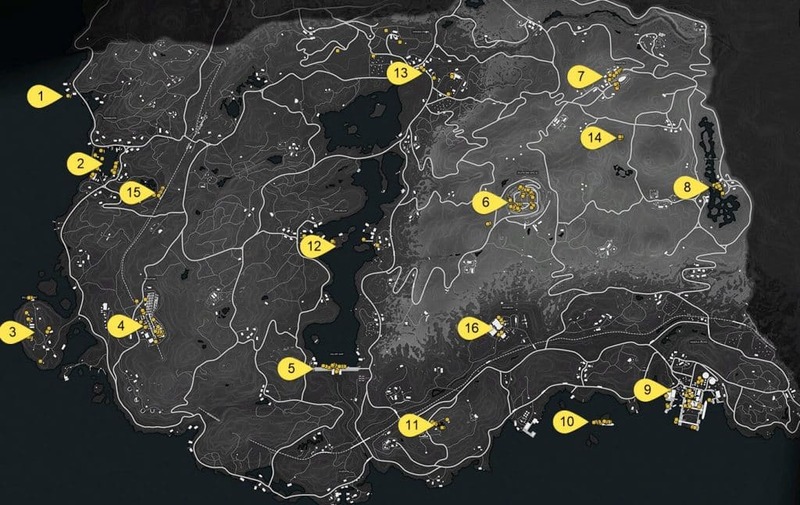 As you can notice, there are up to 16 main loot spots on the map. However, there are only 12 names on the map. Locations that don’t have a name are still marked on the map with a number. The heavy traffic areas are Friggatind, Mannahavn, Halvoy Dam, Odenberg, Pluto, Hodstad and Minerva Docks. the most difficult of all these best loot spots in Firestorm would have to be Pluto, which is the massive dig site that one can’t miss jumping off the Junker J 52 airplane upon the start of the game. It possibly yields the best high tier loot given that one of the objectives are located there. 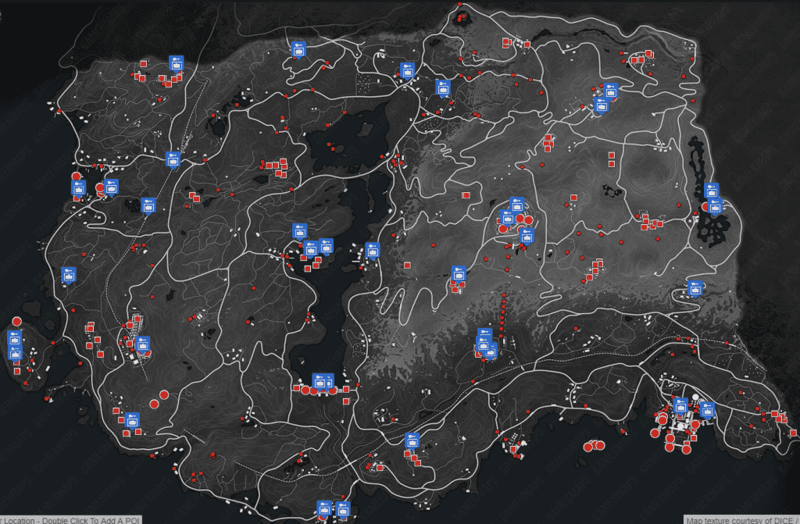 Given the size of this location, there are various high tier loot spread across the dig site. Some can be found at the inner circle of the dig site, while others are found while walking around the dig site making their way to the top. The top tier loots are strategically placed around Halvoy. While the above map shows tier 3 loot spawns, knowing where the other tiers are located is also useful. You won’t have the opportunity to drop in areas where tier 3 loot are located due to inbound enemies, thus, opting for tier 2 loot is the next best choice. Additionally, Firestorm’s top tier loot are called “safes”. If you’re able to locate a safe in Firestorm, you’ll be rewarded with the best loot and weapons in the game. However, once you locate the safe, opening it takes some time as you’ll need to crack the combination. This leaves you vulnerable to surrounding enemies that might also know where the safe if located. The above map indicates where all the safes are located by the blue icon. There’s enough safes to locate, however, given the time frame of the incoming Firestorm, finding these safes won’t be an easy task on foot. That’s why it’s ideal to know the locations of the safes and drop to them at the start of the game. One specific section of the dig site holds a heavy armor in a secured basement. These “bunker tanks” can be found around the map. They are enclosed by two large steel doors. In order to open them, players need to turn a rotating wheel found at the side of each door. If you’re playing in a squad, the doors will open immediately with two players simultaneously rotating the wheel. What’s the best strategy when landing in a high tier loot area? 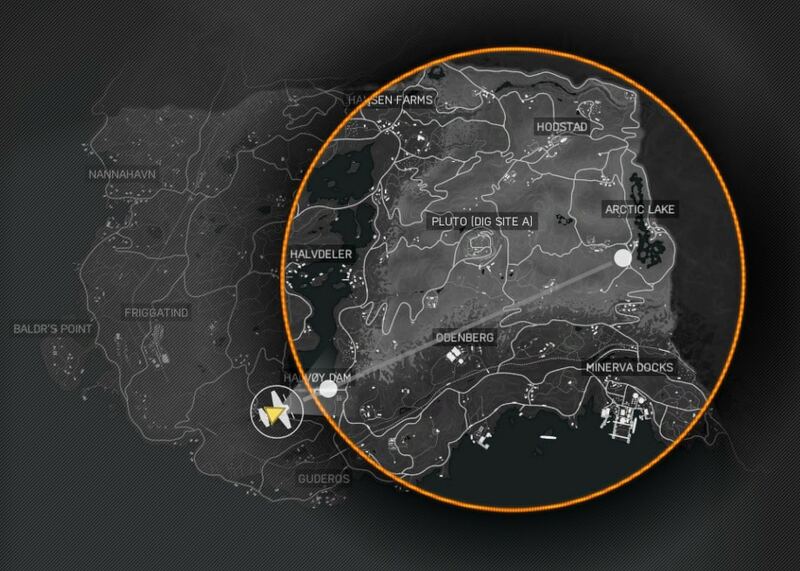 Noting the above locations of the best loot spots in Firestorm, others will also be aware of these locations. Depending on which location will be opened in the match you’re in, the same strategy will apply. Firstly, you’ll need to pick one spot on the map that holds high tier loot. You’ll need to commit to this spot and not change any directions while gliding down. This will give you a higher chance of landing in the specific section of the map faster than any other player, or squad. Next, once you deploy your parachute, you’ll need to take note of which building you want to loot first, and you need to stick to your choice. Read: Shroud Gives Harsh Review of Battlefield V Firestorm. If an enemy lands near you, this is where your masterful melee skills will need to take charge. While entering the building of choice, run through the rooms until you find a weapon. You’ll need to equip it instantly and load ammo in your weapon. Be sure to pay attention to loud running sounds around you which is an indication that an enemy saw your landing spot and is after you. If at this point you haven’t be able to equip a weapon AND load it, you’ll need to switch to your melee weapon (knife) and be ready to take on the opponent. Whoever strikes first will most likely win, unless of course you have amazing controller/keyboarding dodging skills. If you’ve been able to survive this, you’re more likely to continue to successful loot the buildings around you. Giving you a higher chance of picking up more powerful weapons and equipment. Here’s a video showing how to unlock the killer tank using one player. Do remember that if on player is rotating the wheels to open the doors to the killer tank, it will take a lot longer than with two players. 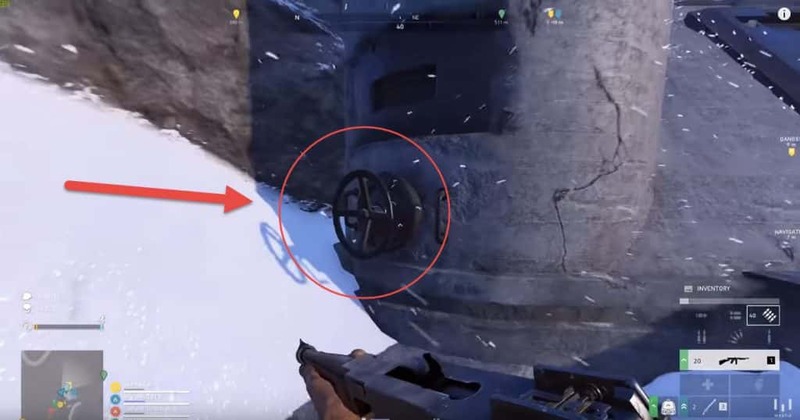 Specifically, an air horn goes off when someone rotates these wheels in-game. So if you hear them, that means someone is attempting to unlock the killer tank as well a reap the benefits of the high tier loot found in the basement of these locations.